Laid down, 15 March 1943, at Lake Washington Shipyards, Houghton, WA. 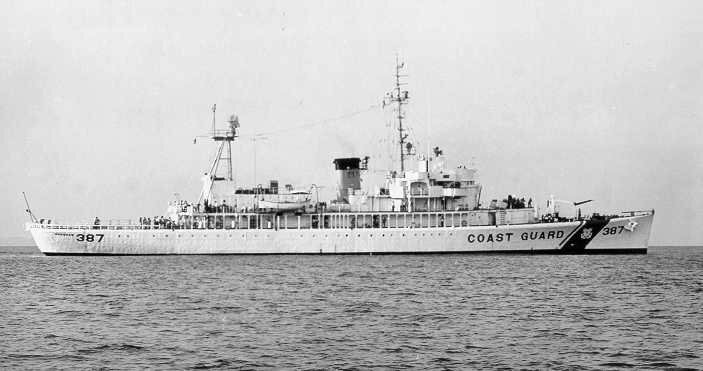 Decommissioned and transferred to the Coast Guard, 26 June 1946 at Government Island, Oakland, CA. 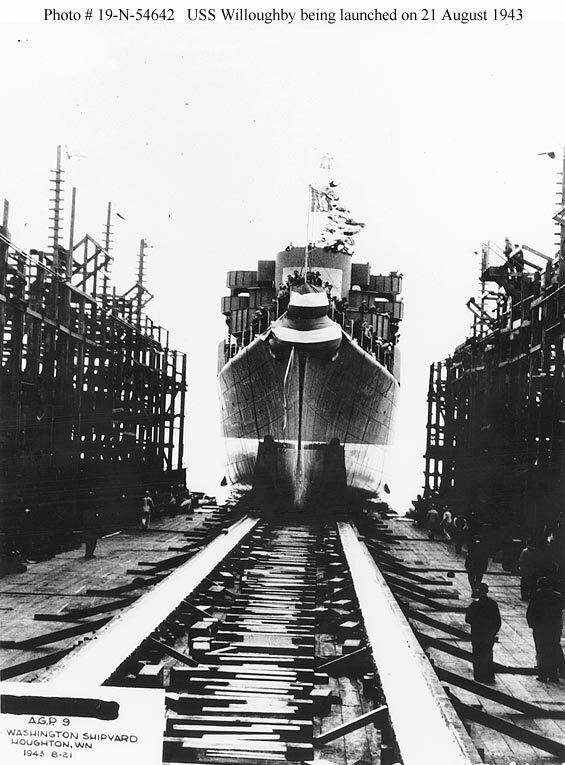 Laid up in the National Defense Reserve Fleet, James River, Lee Hall, VA.
97k Willoughby (AGP-9) being launched at Lake Washington Shipyards, Houghton, WA., 21 August 1943. 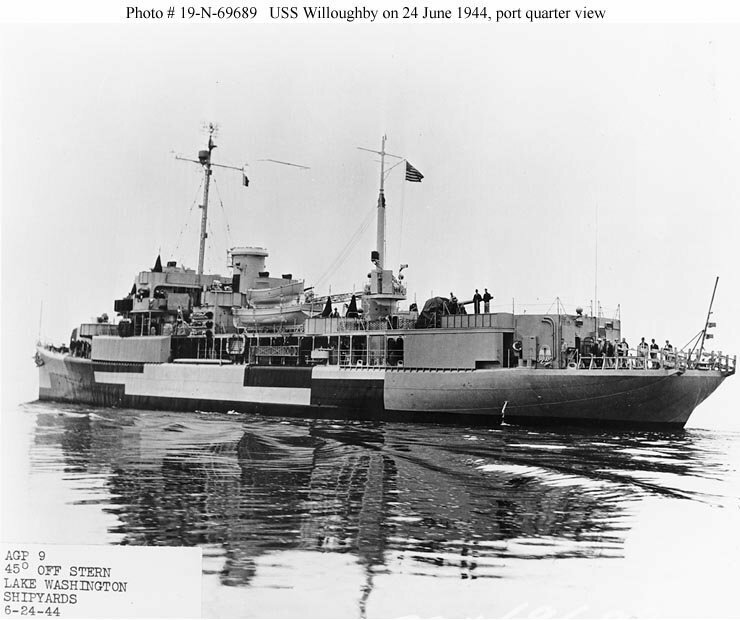 62k USS Willoughby (AGP-9) off Houghton, WA., 24 June 1944, a few days after commissioning. Her camouflage scheme is Measure 32 Design 2Ax. 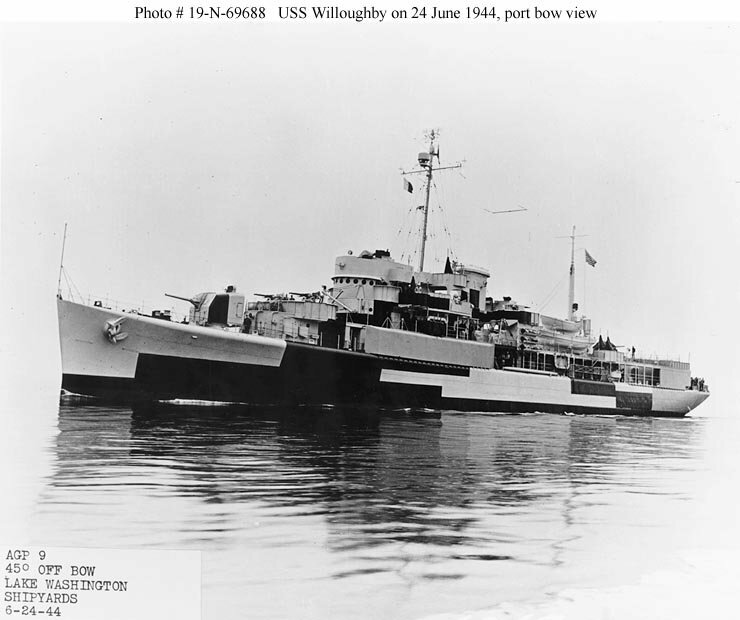 63k USS Willoughby (AGP-9) off Houghton, WA., 24 June 1944, a few days after commissioning. 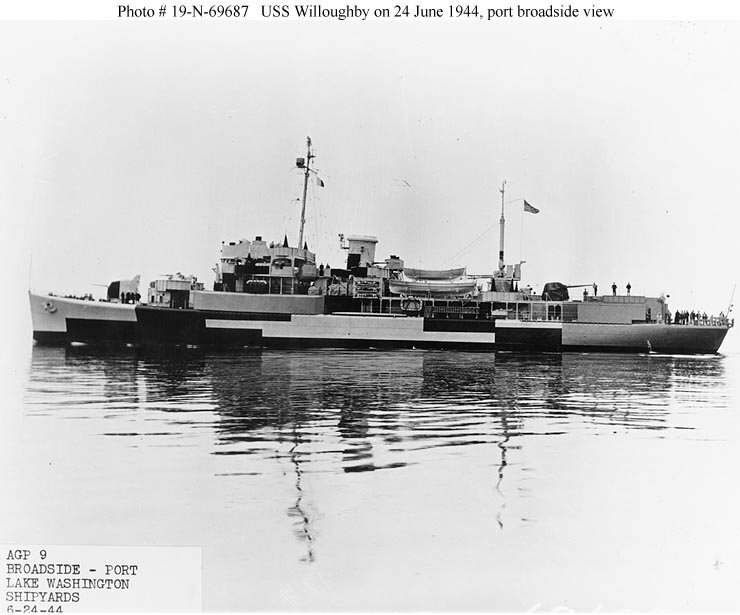 79k USS Willoughby (AGP-9) off Houghton, WA., 24 June 1944, a few days after commissioning. 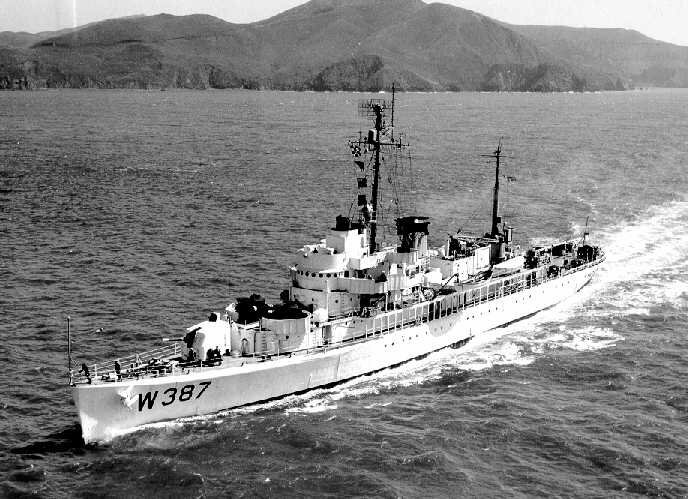 88k USCGC Gresham (WAVP-387) underway, circa 1960, location unknown. 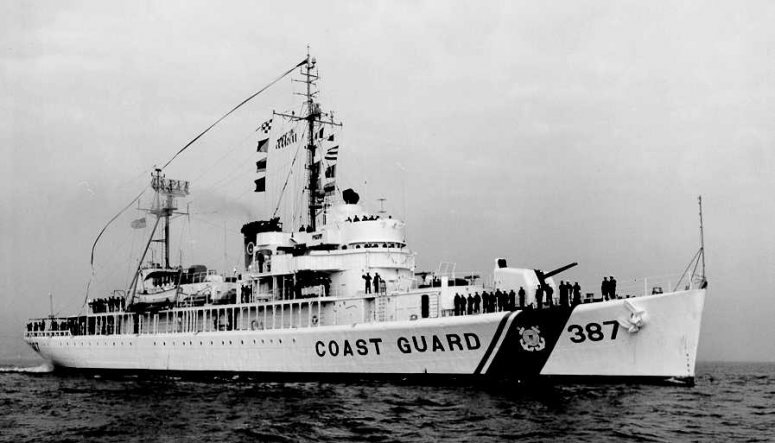 43k USCGC Gresham (WHEC-387) underway, date and location unknown. 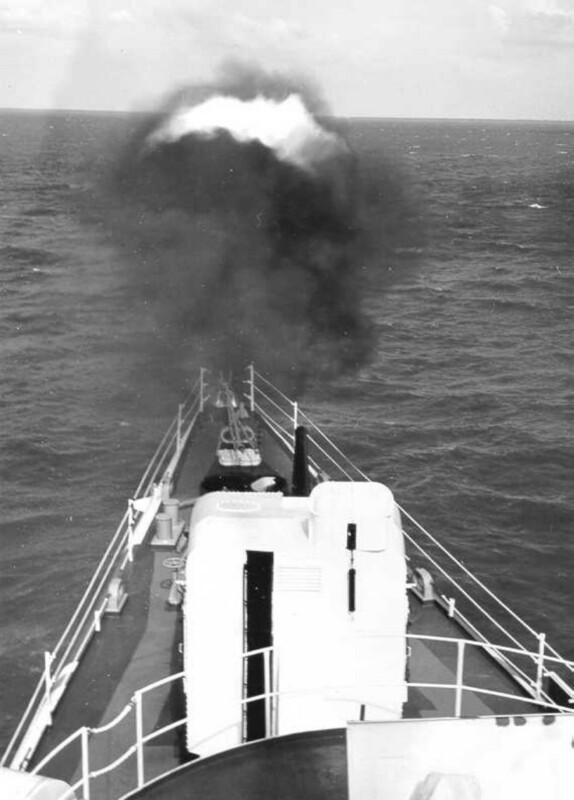 130k USCGC Gresham (WHEC-387) fires her five inch gun during Market Time operations off the coast of Vietnam, circa May 1967 - June 1968. 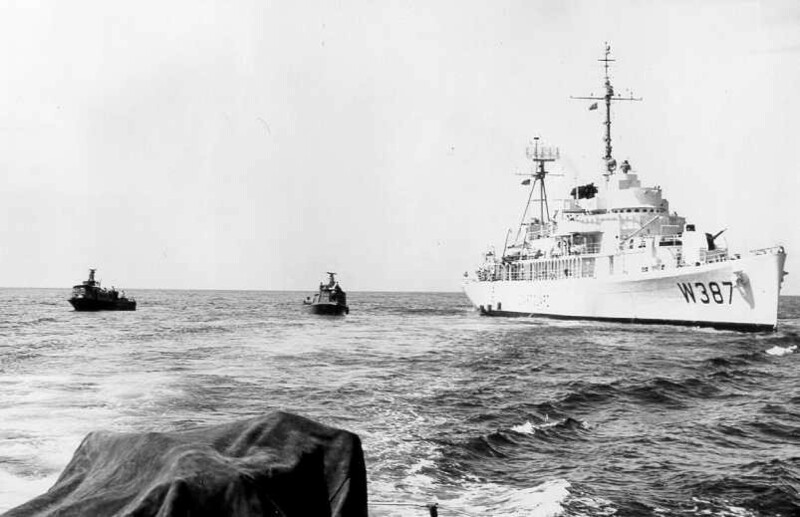 Gresham was often called upon to provide gunfire support for friendly forces ashore in South Vietnam. She was called upon numerous times to bombard enemy staging areas, supply points, or troop concentrations several miles inland, and in each instance the accuracy of her fire has been sufficient to accomplish the intended objective. She is also equipped with several .50 caliber machine guns and 81mm mortars for use in short range combat. 72k While on Market Time patrol two swift boats approach USCGC Gresham (WHEC-387) to receive food, ammunition and fresh crews. The speedy little swift boats help cover the Market Time patrol areas in closer to shore, but depend upon the larger ships for support. Normally the six-man swift boat crews spend 24 hours on patrol, then switch crews for the next 24. On many Market Time stations the relief crews actually live aboard the cutters while waiting for their next patrol.